I am in love with every swimsuit from Anthropologie. I especially love these suits. 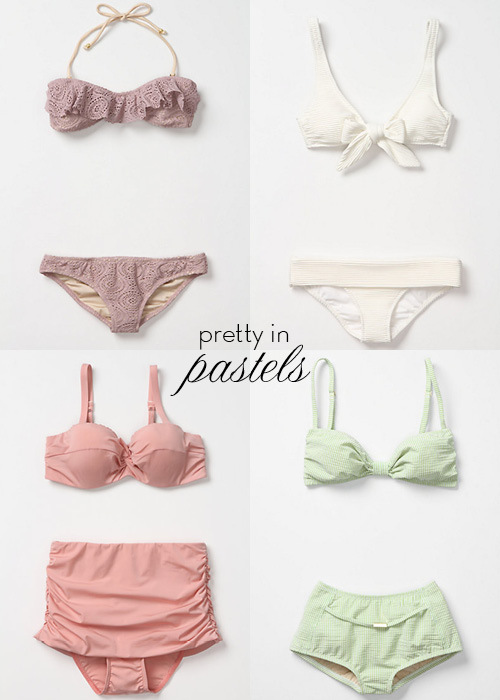 The pastel colors are fun for spring, and I love their retro shape. The only problem is which one do I choose?